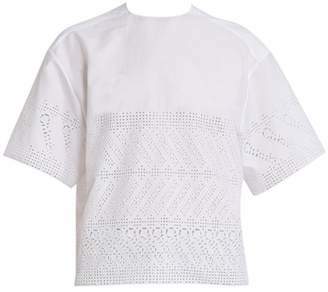 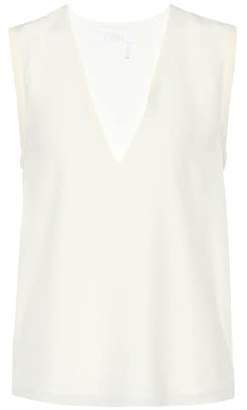 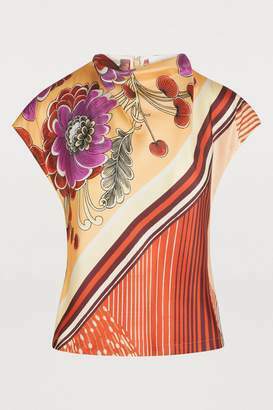 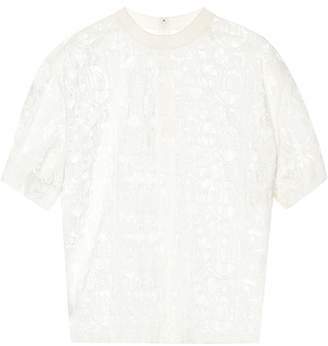 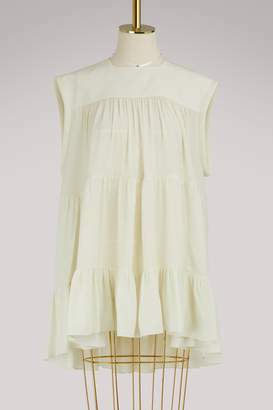 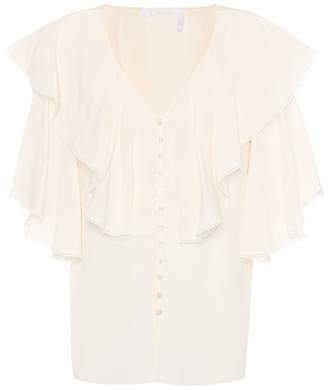 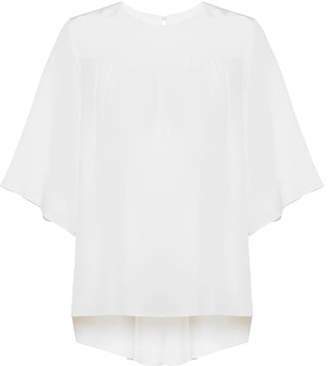 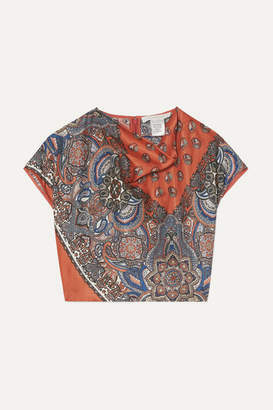 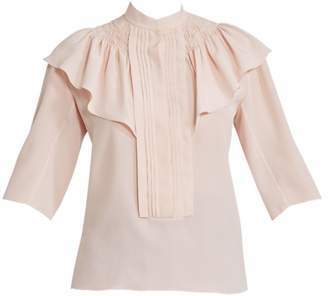 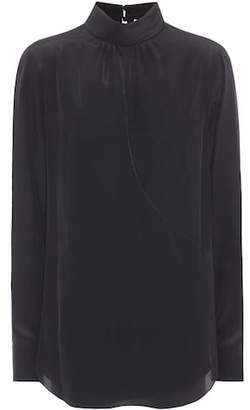 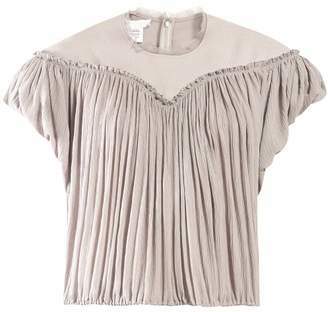 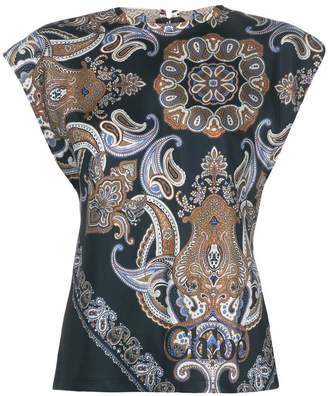 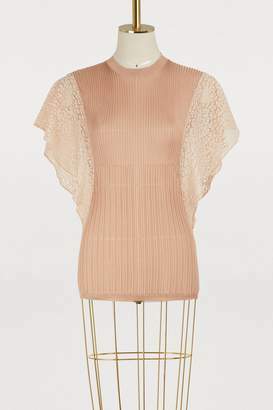 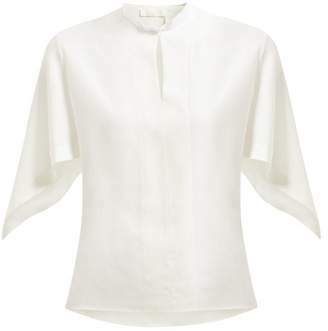 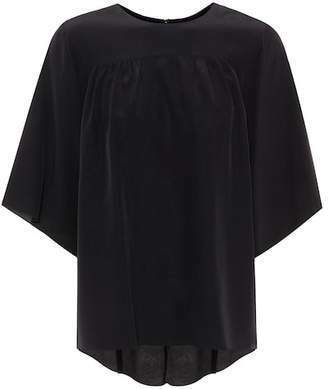 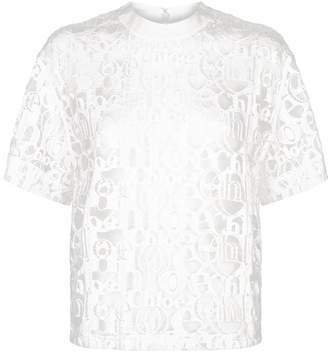 This oversized, very 70s, silk top from Chloé marries relaxation with elegance. 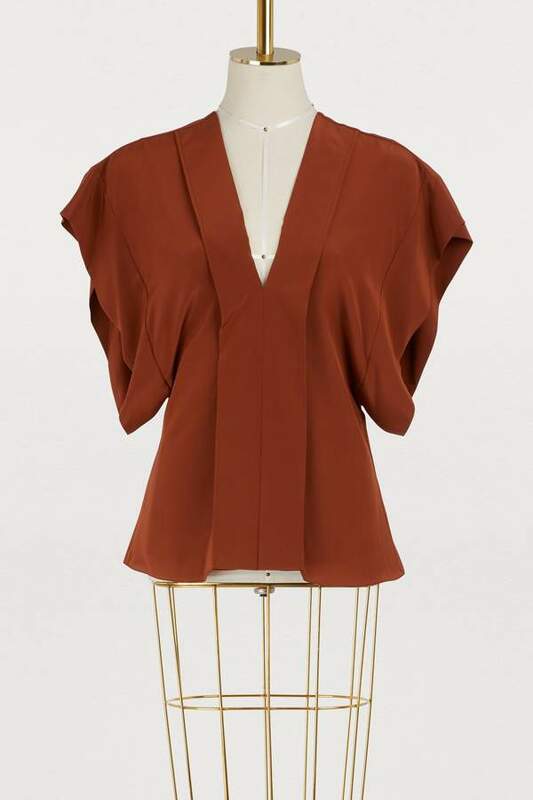 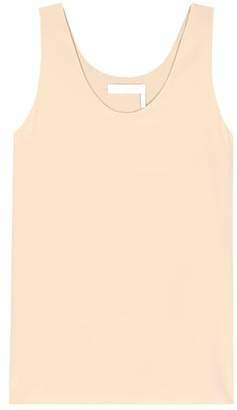 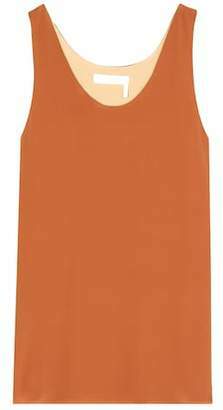 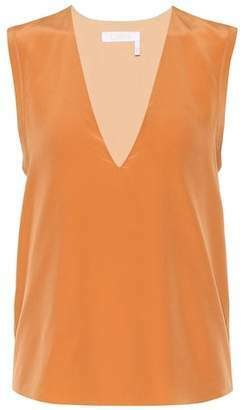 Inspired by bold femininity, designer Natacha Ramsay-Levi offers an XXL short-sleeved piece with a wide plunging V neckline and a terracotta tint. 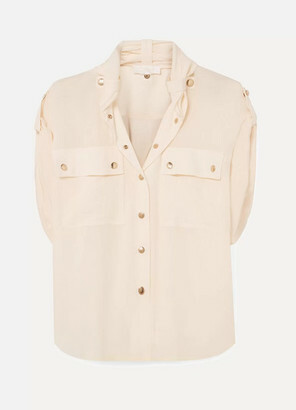 To highlight it, pair it with brown or black pleated trousers, a pair of derbies, and gold jewelery.